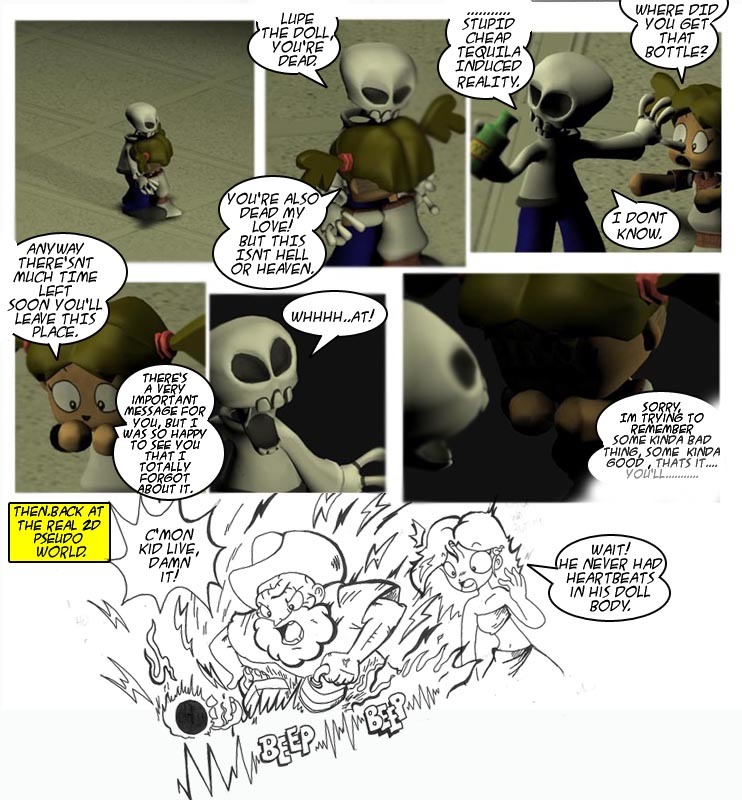 I really hope that I didnt had grammar mistakes in this strip. or I take to much time other stuff and my lines suffer my next comic will be probably black and white. This entry was posted on Thursday, September 11th, 2008 at 4:12 am and is filed under Uncategorized. You can follow any responses to this entry through the RSS 2.0 feed. You can skip to the end and leave a response. Pinging is currently not allowed. I think the words and writing for this were good. I like both the 2D and 3D, but I think that it should be 3D backgrounds + foregrounds/characters, and 2D backgrounds + foregrounds/characters, but not a mix of 3D and 2D in the same panel. But this comic strip was done very well. The only thing that I would recommend is that you work on the texturing of Lupe so that she looks more like cloth and less like… shiny hard stuff, like in her hair.